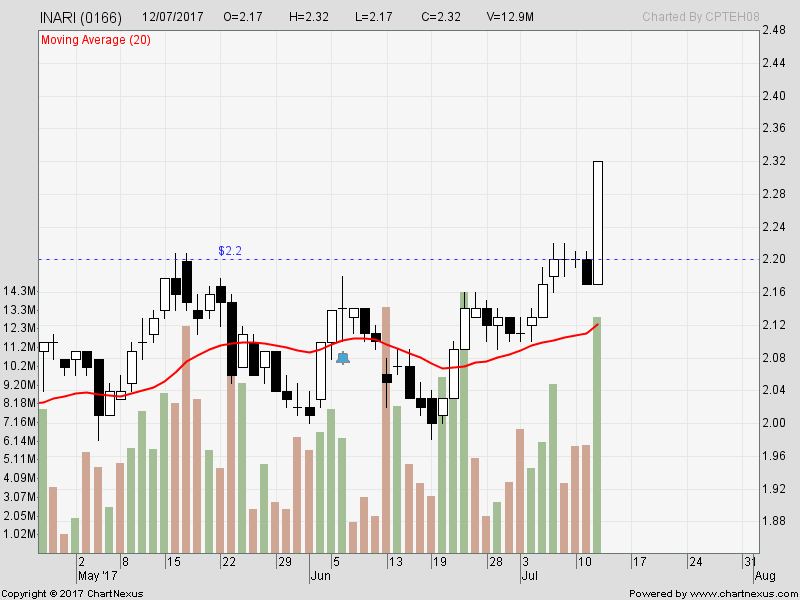 Inari : A strong breakout yesterday. 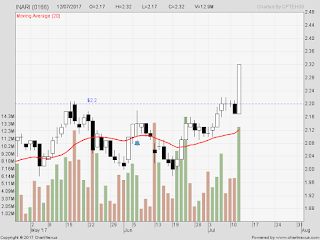 Inari-wb : Breakout too ... 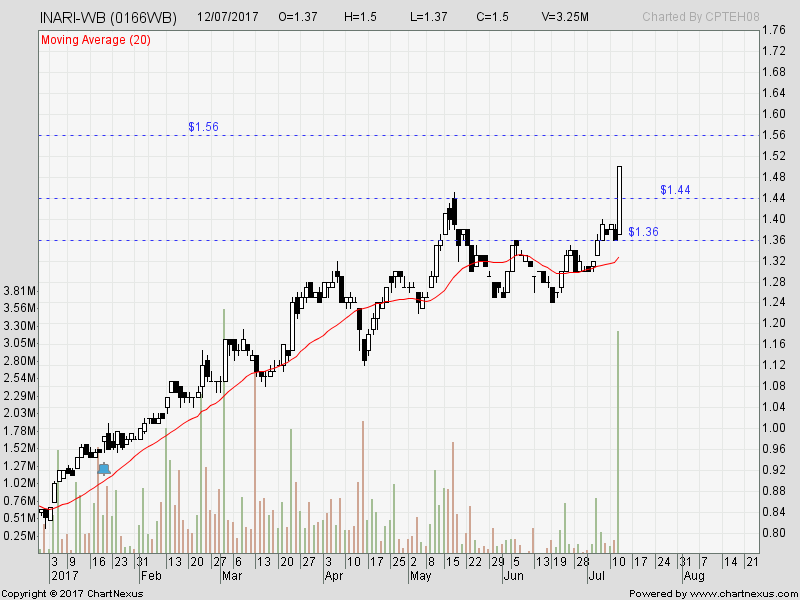 I managed to grab at 1.45 ... selling off at RM1.55 in queue now. 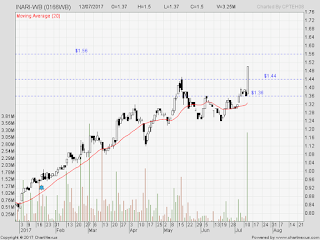 I have been trading Inari-wb many times ... from 90cents level till RM1.50 today. Hope to buyback during pullback and buyback lower.